For RIB Manufacturers we offer a RIB Tube design, manufacture and fitting service at our premises in South West Devon between Plymouth Cornwall, Dartmouth and Salcombe or we can ship finished RIB Tubes to the RIB Manufacturers for self fitting. We can advise and work with the RIB manufacturer on the design specification and production process for optimum styling, fitting and performance of RIB Tubes. Quality Hypalon Fabrics are used in construction of all our RIB Collars and we can fit all accessories as specified by the RIB Manufacturer. Paul Tilley, our MD and designer has over 25 years experience designing and making Tubes for all types of RIB boat from work boats to luxury tenders and leisure RIBs to racing RIBs. 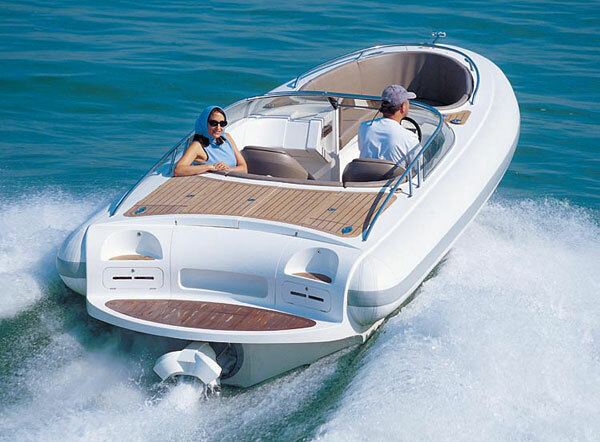 TIDEL will always try to accomodate the RIB Manufacturers requirements in the Tube design.